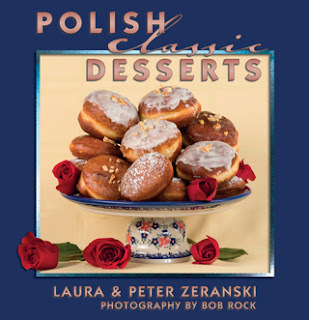 I was inspired by all the wonderful Polish dishes our Mom and I enjoyed on our recent visit to Laura and Peter’s home. So a couple of days ago, I decided to try and make one of my childhood favorites. The temperatures here in northern Florida had dipped down into the twenties and after working in a cold office all morning, I was chilled to the bone. I needed soup! I was home for lunch and when I opened the refrigerator and saw the milk jug, I knew instantly what kind of soup I was going to make that evening - Milk Soup! Milk Soup had been a favorite of my other sister’s (Helen) and mine. We would beg my grandma to make it, even on the hottest of summer days. Her mother was Polish and we were always told it was a Polish soup recipe passed down from her mother’s mother, which would make her our great, great grandmother (phew!). On my way home for dinner, I picked up some whole milk and after arriving pulled out grandma's recipe. It was my first time making this soup on my own. I could have done what I usually do, which is to ask Mom to make it, but since I now do all the cooking in our house, it was time I learned how to make this family favorite by myself. Grandma's recipe was easy to follow and within a half hour, Mom and I were sitting down to a delicious, hot bowl of goodness that transported us back to times when we shared bowls of Milk Soup with grandma and great grandma. I must have done OK because it tasted just like I remembered. Even the Ribbles (small bits of dough dribbled into the hot soup) came out right and were delicious. As Mom said the blessing we gave thanks not only for the meal, but also for the three special women, my great great grandmother, great grandmother, and grandmother, who passed this Polish delicacy from generation to generation and gave us our first memories of enjoying a classic dish that never fails to bring a smile to my face. Pour the milk into a large pot, mix in the sugar and salt, and slowly bring to a low boil (do not use high heat as the milk will scorch and burn). While the milk mix is heating, combine these ingredients together in a bowl, using your hands to break the mix into small particles. Be sure all of the flour is well integrated so the milk doesn’t get too starchy. 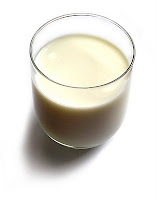 As soon as the milk has boiled, dribble the ribbles into the hot liquid by taking small amounts of the mixture in your fingertips and gently dropping them into the milk, the same way you would sprinkle sugar over the top of something. As soon as the milk with ribbles has boiled again, take off the heat and serve.